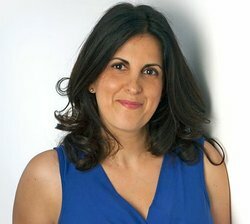 British Greek-Cypriot writer, Maria Constantine, grew up in a leafy suburb of north London where Greek School, the local Greek Orthodox Church and the extended family were at the heart of family life. She studied Law at Queen Mary University followed by Lancaster Gate Law College and then worked in a London law firm. Maria later decided to broaden her horizons and enrolled at the Institut Francais and Goethe Institut before working abroad for a number of years teaching English as a foreign language. 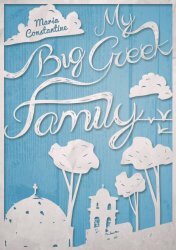 Her origins were a source of inspiration for her debut novel, My Big Greek Family published in 2013, which reached the top 10 Amazon best sellers rank in Parenting and Family Humour in the US, Canada and the UK. Having been inspired by several other Greek authors, Maria was keen to enter mainstream commercial women’s fiction with a different voice and create characters that second-generation women, reconciling two cultures, could relate to. Maria shares stories about her life as well as exclusive Greek family recipes on her website mariaconstantineauthor.com and is currently working on the sequel to her first book. As the family descend to celebrate Georgina’s thirtieth birthday she finds it a struggle to wear the cloak of I’m-doing-just-fine. The time has come for Georgina to make some serious changes, if she is to lead the life she wants to lead as opposed to the life she is expected to lead. An encounter with Jake O’Sullivan finds her ready to take a chance on romance, but will she stumble at the first obstacle?